WONDERFUL – available from the beginning of October until March (unless the product is out of stock). These cultivars are the result of crossbreeds of existing varieties, OGM-free, and the fruits are particularly rich in healthy elements (i.e. 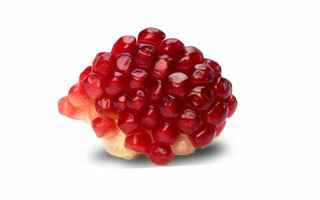 high quantity of antioxidants) and in aryls (up to 600 per fruit), tasty, juicy and easy to peel. 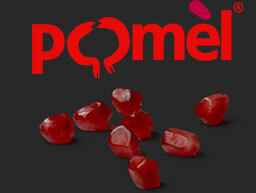 Most of our pomegranates are cultivated limiting to the extent possible the use of synthetic pesticides and fertilizers. Accordingly, it may happen that our cultivations receive small quantities of a few synthetic products, within the limits allowed by Italian Law1. To satisfy also our clients willing to receive pomegranates totally free from synthetic pesticides and fertilizers, we are pleased to offer also organic pomegranates, free from any synthetic product, cultivated using exclusively organic pesticides and fertilizers, certified in compliance with the strict EU regulations ruling the organic farming. It must be pointed out that, according to Italian Law, organic and non-organic fruits cannot be shipped together in the same truck/container to limit potential contamination of the organic produce. 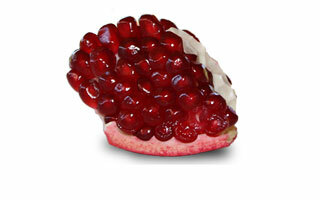 Accordingly, this circumstance must be considered when ordering organic pomegranates. Our whole produce is cultivated in Italy respecting the strict Italian law ruling the use of synthetic fertilizers and pesticides. All the assaults of insects and parasites harmful for trees or fruits are hindered through pheromone traps (picture below), authorized also in organic farming. 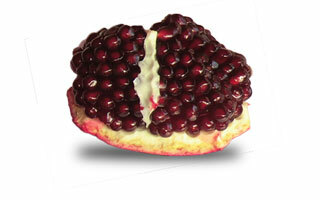 Our producers are very committed and passionate in cultivating our pomegranates and the result of their efforts is a produce of excellent-flavor fruits, very attractive and rich in antioxidants.